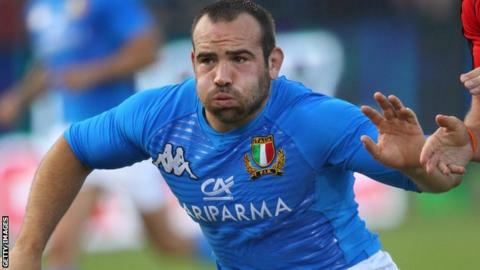 Italy international Tommaso D'Apice has joined Gloucester on a one-year deal. The 24-year-old was handed a trial at Kingsholm after he became a free agent in the summer, following the demise of his former club Aironi. D'Apice has 10 international caps, having made his debut at the 2011 World Cup in New Zealand. "He's a quality player but we wanted to make sure he was right for the balance of the squad," director of rugby Nigel Davies told BBC Gloucestershire. "We want to give him the opportunity to play at the highest level and play for a team that can help develop his game. "He probably could have gone to other clubs for a lot more money but he wants to be part of this Gloucester team and we're delighted to have him on board."